Tucked away in a spooky plantation house on the outskirts of Indiantown, the Treasure Coast Wildlife Center hosted its annual “Ghoula” fundraising event on Oct. 28. With limited space available at the secluded Hammock House venue, guests experienced an incomparable and intimate evening to benefit the only non-profit organization in the Treasure Coast region that helps sick, injured and orphaned wildlife. The night was hosted by the fictional Ghoula Coven of Witches. 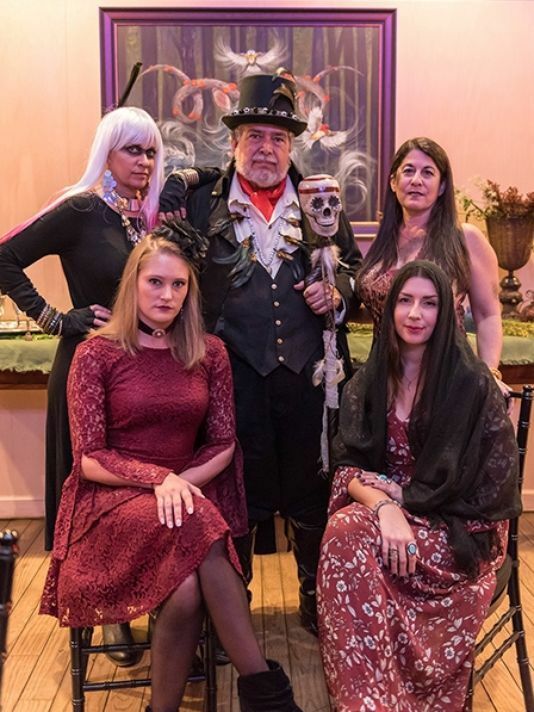 The story concept, created by Karin Leone and The Firefly Group, and developed specifically for the Wildlife Center’s interactive musical drama experience, told the tale of a coven of witches who have been living in isolation for the past 100 years.